Dual CD Control & 19" Mixer DJ Workstation, Top rack 4U, Mid 7U, and Bottom 16U, includes Caster plate and Front Wheel Brakes. Made from high quality materials and made with style and toughness. 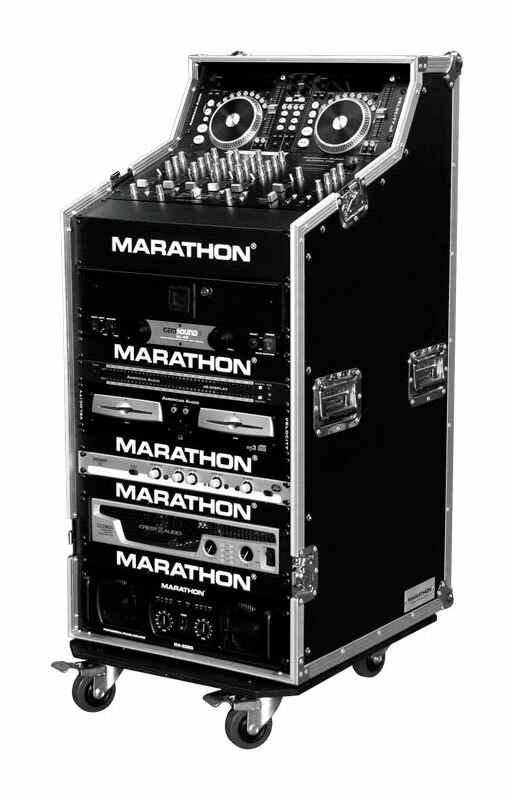 Slanted 7 Space mid-level rack to hold 19" mixers and 4 space vertical rack on top of the CD controller, Bottom 16U rack for Processors or CD player, with other great features like the hinged door, heavy ball corners, spring action handles and many more. 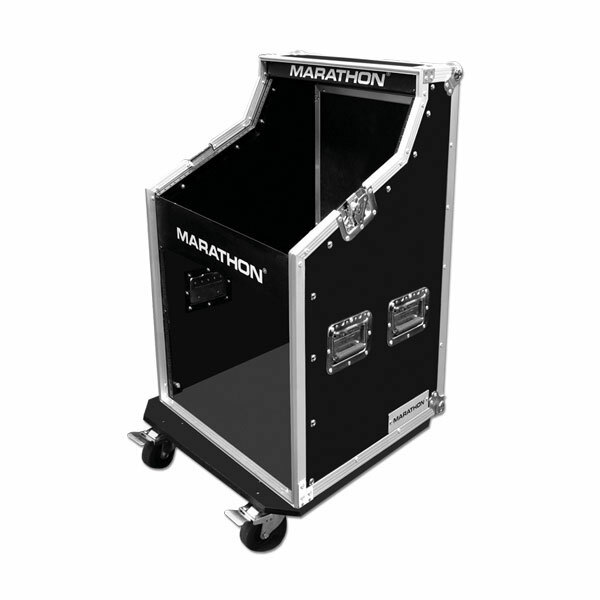 Move your gig anywhere with Marathon's outstanding reliability and equipment protection.